You are here: Home / Great Deals / More New Deals From Jane! More New Deals From Jane! Love Stripes? So do we! Our Stripes on Stripes Crochet Accent Tank will be your go to Tank this Summer! You will love how lightweight and flattering the cut on this top is! Mixed stripes print with a crochet accent sleeve finish the look. Pair with shorties and your favorite sandals! 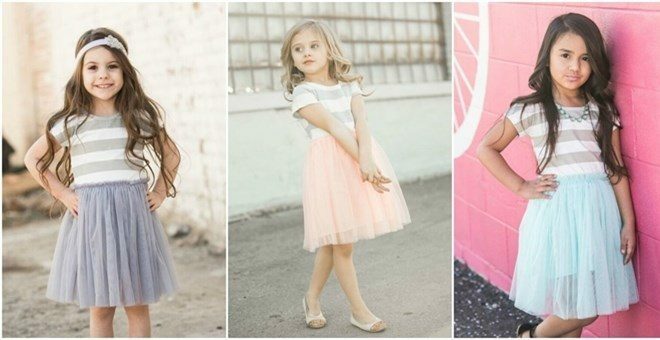 A new favorite here at Mommy’s Little Sunshine! We LOVE this dress! Dress features cap sleeve with white and heather gray strip print. The bottom of the dress is made of tulle and is knee length. Fits true to size. We recommend ordering the size you would typically order for your child. 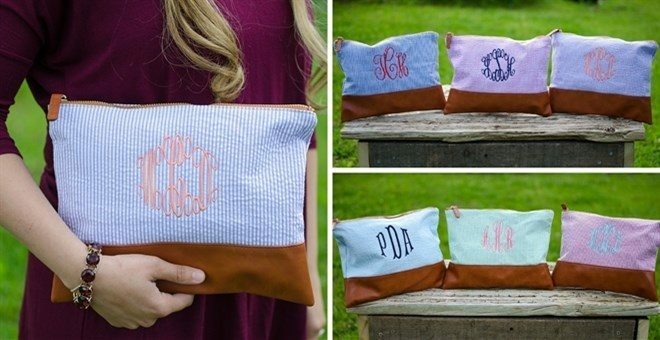 These Monogrammed Seersucker Zipper Pouches are so trendy! These zipper pouches are both cute and versatile. They can be used as a travel pouch to hold cosmetics and accessories, or carried as a cute clutch. They also make great gifts. With these zipper pouches your monogram will be professionally embroidered in the font style and thread color of your choice. These gorgeous Monogrammed Seersucker Zipper Pouches are a deal you don’t want to miss!